KFSR Spring 2019 Pledge Drive! 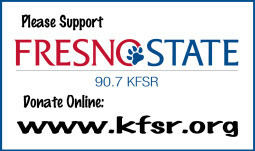 KFSR is a non-profit, listener-supported public radio station licensed to California State University, Fresno, broadcasting at 2600 watts at 90.7 FM and streaming online at www.kfsr.org. Support KFSR – Donate Now! Please support KFSR with your tax-deductible donation. 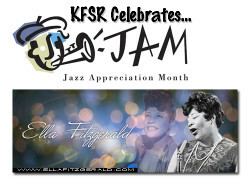 Listener donations keep KFSR on the air! Listen to 90.7 KFSR on your smart phone or tablet with the TuneIn Radio app! It’s free!